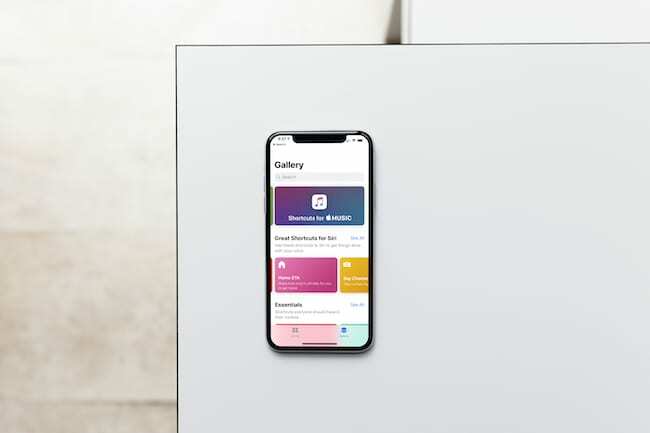 As its name suggests, Siri Shortcuts are supposed to make your digital life more manageable. Unfortunately, like most things technical, sometimes things don’t go as planned. 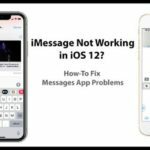 When your Siri Shortcuts fail you on your iPhone, iPad, or Apple Watch try these troubleshooting steps. 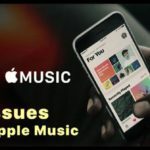 2 What Are Siri Shortcuts? 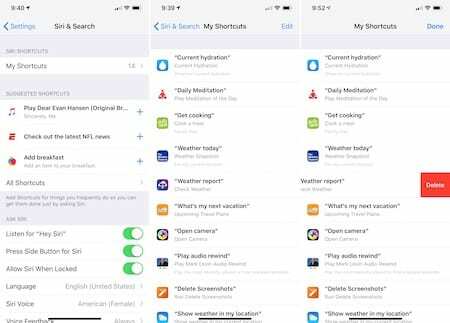 First introduced with iOS 12 in 2018, Siri Shortcuts uses artificial intelligence to learn your routines and provide suggestions. 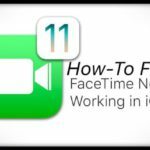 In doing so, you can ultimately use your voice to run any Shortcut, thereby making it easier to use your favorite apps. 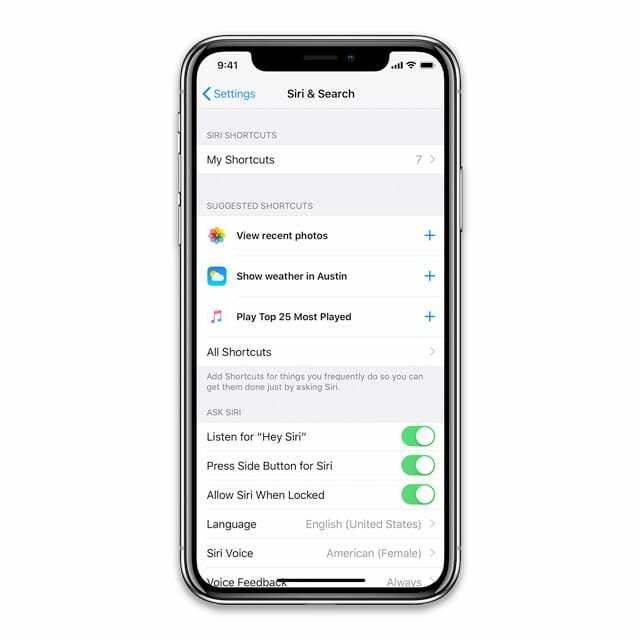 Additionally, Apple allows you to create custom Shortcuts to streamline frequent tasks using both native and third-party apps. Note: Not all third-party apps work with Siri Shortcuts, although that will probably change over time as developers begin integrating the tool into their products. If your Siri Shortcuts aren’t working, try these three tips in the order listed. Siri Shortcuts are initiated through the use of phrases. These are created during the Siri Shortcuts process. Be sure to confirm that you’re using the correct phrase for the Shortcut that isn’t working. Go into the Settings app on your iPhone and tap Siri & Search. Click on the Shortcut that isn’t working. The phrase is located towards the middle of the screen in large, bold print. Tap Re-Record Phrase if you’d like to change the Shortcut phrase. See if the Shortcut works. If not, move to the next tip. 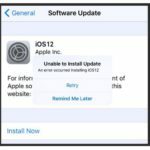 Often, all it takes to resolve problems with your iOS device is to perform a reboot. Press and hold the Side button again until you see the Apple logo. Press and hold the Top (or Side) button again until you see the Apple logo. 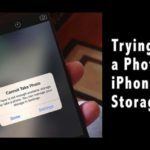 Try using your Siri Shortcut again and see if rebooting your device solved the problem. If rebooting your device doesn’t work, it’s time to turn your attention towards Siri. In the Settings app, tap Siri & Search. Also untoggle Press Side Button for Siri. Click Continue on the Set Up “Hey Siri” screen. Follow the directions until you see the final screen and then tap Done. Toggle Press Side Button for Siri. Did this fix your Siri Shortcuts problem? Resetting the language associated with Siri sometimes resolve problems with Shortcuts. To do so, go into the Settings app and tap Siri & Search. Change the language you wish to use for Siri. Because we’re only doing this for troubleshooting purposes, you can change it to any other language. Select the language you (really) want to use. Try your Siri Shortcuts again. If they still don’t work, try one final step. 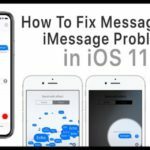 As a drastic measure, you can delete, then recreate your Shortcuts to resolve your issue. 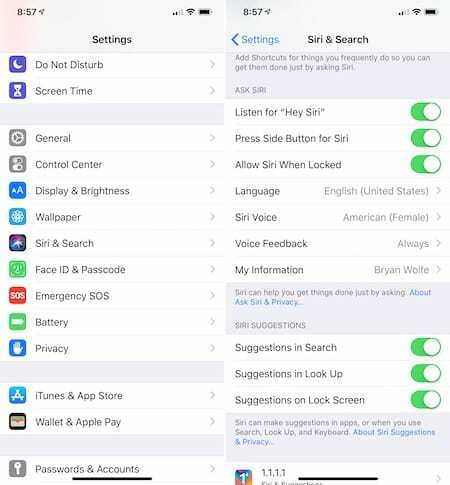 To delete Shortcuts, go into the Settings app and tap Siri & Search. Slide from right to left on the Shortcut you need to remove. Go back into the Siri Shortcuts app. 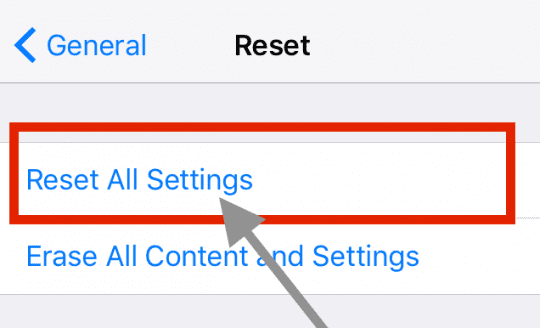 Resetting all settings also reverts all your personalized and customized features like wallpapers and accessibility settings back to factory defaults. Once you create your Shortcuts, using them is supposed to be as simple as saying the phrase you’ve added to activate Siri. 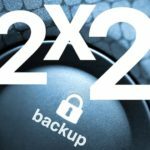 Ideally, these phrases should work across all of your devices including iPhone, iPad, and Apple Watch. That isn’t always the case when it comes to Apple’s wearable device. 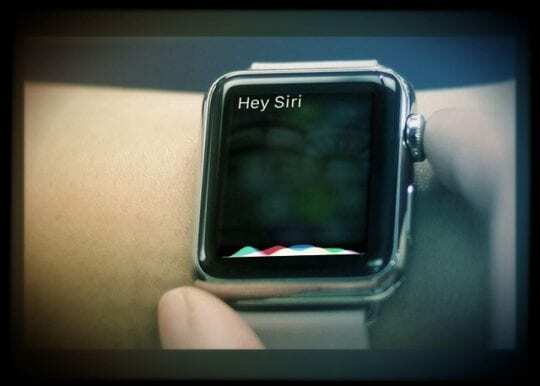 Yes, Shortcuts work with Siri on Apple Watch — but not every time for various reasons. 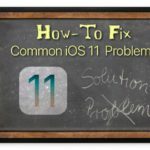 Here’s more information on the process and some troubleshooting techniques you can try. Using the Siri watch face. Once you wake up Siri using any of these choices, you can respond with your question or Siri Shortcut phrase. Make sure your internet connection is active. Siri needs a Wi-Fi or LTE connection to work. Is Siri turned on? On your Apple Watch, tap Settings > General > Siri to confirm. Is a protective case blocking the microphone or speaker on your Apple Watch? Take it off and try again to see. Confirm that the app for your Shortcut is installed on your Apple Watch. Go into the Watch app on your iPhone under the My Watch tab and make sure the app is listed under the Installed on Apple Watch section. If instead, it’s under Available Apps, tap Install next to its name. As a last resort, reset your Apple Watch. 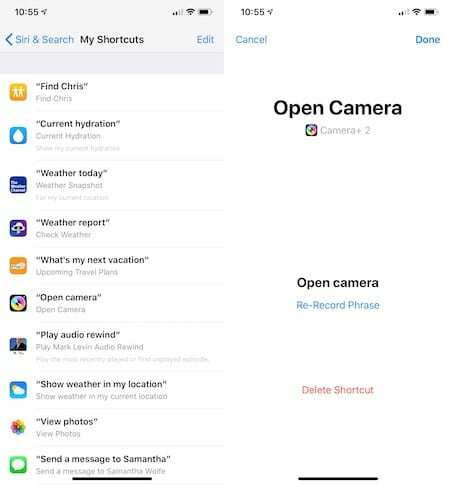 Does the Siri Shortcut work on your iPhone? If it doesn’t, then the issue is related to your iOS device and not the Apple Watch. Be sure to check to make sure. There’s no doubt that Siri Shortcuts are going to get better in the months and years to come starting with the introduction of “iOS 13” and “watchOS 6” this year. For now, the tool is sometimes hit-or-miss. Nonetheless, when the Shortcuts work, they do help to save time using apps. Going to Settings > Siri & Search > My Shortcuts and then deleting the shortcut there. Finally, going back to the Shortcuts app to rerecord the shortcut worked for me!